"Project Paperclip" redirects here. For the Holocaust project, see Paper Clips Project. For other uses, see Paper clip (disambiguation). Operation Paperclip was a secret program of the Joint Intelligence Objectives Agency (JIOA) largely carried out by Special Agents of Army CIC, in which more than 1,600 German scientists, engineers, and technicians, such as Wernher von Braun and his V-2 rocket team, were taken from Germany to America for U.S. government employment, primarily between 1945 and 1959. Many were former members, and some were former leaders, of the Nazi Party. The primary purpose for Operation Paperclip was U.S. military advantage in the Soviet–American Cold War, and the Space Race. The Soviet Union was more aggressive in forcibly recruiting more than 2,200 German specialists—a total of more than 6,000 people including family members—with Operation Osoaviakhim during one night on October 22, 1946. The Joint Chiefs of Staff (JCS) established the first secret recruitment program, called Operation Overcast, on July 20, 1945, initially "to assist in shortening the Japanese war and to aid our postwar military research". The term "Overcast" was the name first given by the German scientists' family members for the housing camp where they were held in Bavaria. In late summer 1945, the JCS established the JIOA, a subcommittee of the Joint Intelligence Community, to directly oversee Operation Overcast and later Operation Paperclip. The JIOA representatives included the army's director of intelligence, the chief of naval intelligence, the assistant chief of Air Staff-2 (air force intelligence), and a representative from the State Department. In November 1945, Operation Overcast was renamed Operation Paperclip by Ordnance Corps (United States Army) officers, who would attach a paperclip to the folders of those rocket experts whom they wished to employ in America. In a secret directive circulated on September 3, 1946, President Truman officially approved Operation Paperclip and expanded it to include one thousand German scientists under "temporary, limited military custody". 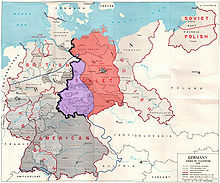 In the later part of World War II, Nazi Germany found itself at a logistical disadvantage, having failed to conquer the USSR with Operation Barbarossa (June–December 1941), the Siege of Leningrad (September 1941 – January 1944), Operation Nordlicht ("Northern Light", August–October 1942), and the Battle of Stalingrad (July 1942 – February 1943). The failed conquest had depleted German resources, and its military-industrial complex was unprepared to defend the Großdeutsches Reich (Greater German Reich) against the Red Army's westward counterattack. By early 1943, the German government began recalling from combat a number of scientists, engineers, and technicians; they returned to work in research and development to bolster German defense for a protracted war with the USSR. The recall from frontline combat included 4,000 rocketeers returned to Peenemünde, in northeast coastal Germany. The Nazi government's recall of their now-useful intellectuals for scientific work first required identifying and locating the scientists, engineers, and technicians, then ascertaining their political and ideological reliability. Werner Osenberg, the engineer-scientist heading the Wehrforschungsgemeinschaft (Defense Research Association), recorded the names of the politically cleared men to the Osenberg List, thus reinstating them to scientific work. In March 1945, at Bonn University, a Polish laboratory technician found pieces of the Osenberg List stuffed in a toilet; the list subsequently reached MI6, who transmitted it to U.S. Intelligence. Then U.S. Army Major Robert B. Staver, Chief of the Jet Propulsion Section of the Research and Intelligence Branch of the U.S. Army Ordnance Corps, used the Osenberg List to compile his list of German scientists to be captured and interrogated; Wernher von Braun, Germany's premier rocket scientist, headed Major Staver's list. In Operation Overcast, Major Staver's original intent was only to interview the scientists, but what he learned changed the operation's purpose. On May 22, 1945, he transmitted to the U.S. Pentagon headquarters Colonel Joel Holmes's telegram urging the evacuation of German scientists and their families, as most "important for [the] Pacific war" effort. Most of the Osenberg List engineers worked at the Baltic coast German Army Research Center Peenemünde, developing the V-2 rocket. After capturing them, the Allies initially housed them and their families in Landshut, Bavaria, in southern Germany. Beginning on July 19, 1945, the U.S. JCS managed the captured ARC rocketeers under Operation Overcast. However, when the "Camp Overcast" name of the scientists' quarters became locally known, the program was renamed Operation Paperclip in November 1945. Despite these attempts at secrecy, later that year the press interviewed several of the scientists. Early on, the United States created the Combined Intelligence Objectives Subcommittee (CIOS). This provided the information on targets for the T-Forces that went in and targeted scientific, military and industrial installations (and their employees) for their know-how. Initial priorities were advanced technology, such as infrared, that could be used in the war against Japan; finding out what technology had been passed on to Japan; and finally to halt the research. A project to halt the research was codenamed "Project Safehaven", and it was not initially targeted against the Soviet Union; rather the concern was that German scientists might emigrate and continue their research in countries such as Spain, Argentina or Egypt, all of which had sympathized with Nazi Germany. In order to avoid the complications involved with the emigration of German scientists, the CIOS was responsible for scouting and kidnapping high-profile individuals for the deprivation of technological advancements in nations outside of the US. By 1947 this evacuation operation had netted an estimated 1,800 technicians and scientists, along with 3,700 family members. Those with special skills or knowledge were taken to detention and interrogation centers, such as one code-named DUSTBIN, to be held and interrogated, in some cases for months. A few of the scientists were gathered up in Operation Overcast, but most were transported to villages in the countryside where there were neither research facilities nor work; they were provided stipends and forced to report twice weekly to police headquarters to prevent them from leaving. The Joint Chiefs of Staff directive on research and teaching stated that technicians and scientists should be released "only after all interested agencies were satisfied that all desired intelligence information had been obtained from them". On November 5, 1947, the Office of Military Government of the United States (OMGUS), which had jurisdiction over the western part of occupied Germany, held a conference to consider the status of the evacuees, the monetary claims that the evacuees had filed against the United States, and the "possible violation by the US of laws of war or Rules of Land Warfare". The OMGUS director of Intelligence R. L. Walsh initiated a program to resettle the evacuees in the Third World, which the Germans referred to as General Walsh's "Urwald-Programm" (jungle program); however, this program never matured. In 1948, the evacuees received settlements of 69.5 million Reichsmarks from the U.S., a settlement that soon became severely devalued during the currency reform that introduced the Deutsche Mark as the official currency of western Germany. John Gimbel concludes that the United States held some of Germany's best minds for three years, therefore depriving the German recovery of their expertise. In May 1945, the U.S. Navy "received in custody" Dr. Herbert A. Wagner, the inventor of the Hs 293 missile; for two years, he first worked at the Special Devices Center, at Castle Gould and at Hempstead House, Long Island, New York; in 1947, he moved to the Naval Air Station Point Mugu. In August 1945, Colonel Holger Toftoy, head of the Rocket Branch of the Research and Development Division of the U.S. Army's Ordnance Corps, offered initial one-year contracts to the rocket scientists; 127 of them accepted. In September 1945, the first group of seven rocket scientists (aerospace engineers) arrived at Fort Strong, located on Long Island in Boston harbor: Wernher von Braun, Erich W. Neubert, Theodor A. Poppel, August Schulze, Eberhard Rees, Wilhelm Jungert, and Walter Schwidetzky. In 1946, the United States Bureau of Mines employed seven German synthetic fuel scientists at a Fischer-Tropsch chemical plant in Louisiana, Missouri. On June 1, 1949, the Chief of Ordnance of the United States Army designated Redstone Arsenal in Huntsville, Alabama, as the Ordnance Rocket Center, its facility for rocket research and development. On April 1, 1950, the Fort Bliss missile development operation—including von Braun and his team of over 130 Paperclip members—was transferred to Redstone Arsenal. Between 1945 and 1952, the United States Air Force sponsored the largest number of Paperclip scientists, importing 260 men, of whom 36 returned to Germany and one (Walter Schreiber) reemigrated to Argentina. Eighty-six aeronautical engineers were transferred to Wright Field, Ohio, where the United States had Luftwaffe aircraft and equipment captured under Operation Lusty (Luftwaffe Secret Technology). The United States Army Signal Corps employed 24 specialists – including the physicists Georg Goubau, Gunter Guttwein, Georg Hass, Horst Kedesdy, and Kurt Lehovec; the physical chemists Rudolf Brill, Ernst Baars, and Eberhard Both; the geophysicist Helmut Weickmann; the optician Gerhard Schwesinger; and the engineers Eduard Gerber, Richard Guenther, and Hans Ziegler. In 1959, 94 Operation Paperclip men went to the United States, including Friedwardt Winterberg and Friedrich Wigand. Overall, through its operations to 1990, Operation Paperclip imported 1,600 men, as part of the intellectual reparations owed to the United States and the UK, valued at $10 billion in patents and industrial processes. The NASA Distinguished Service Medal is the highest award which may be bestowed by the National Aeronautics and Space Administration (NASA). After more than two decades of service and leadership in NASA, four Operation Paperclip members were awarded the NASA Distinguished Service Medal in 1969: Kurt Debus, Eberhard Rees, Arthur Rudolph, and Wernher von Braun. Ernst Geissler was awarded the medal in 1973. The Department of Defense Distinguished Civilian Service Award is the highest civilian award given by the United States Department of Defense. After two decades of service, Operation Paperclip member Siegfried Knemeyer was awarded the Department of Defense Distinguished Civilian Service Award in 1966. The Goddard Astronautics Award is the highest honor bestowed for notable achievements in the field of astronautics by the American Institute of Aeronautics and Astronautics (AIAA). For their service, three Operation Paperclip members were awarded the Goddard Astronautics Award: Wernher von Braun (1961), Hans von Ohain (1967), and Krafft Arnold Ehricke (1984). The U.S. Space & Rocket Center in Huntsville, Alabama, owns and operates the U.S. Space Camp. Several Operation Paperclip members are members of the Space Camp Hall of Fame (which began in 2007): Wernher von Braun (2007), Georg von Tiesenhausen (2007), and Oscar Holderer (2008). The New Mexico Museum of Space History includes the International Space Hall of Fame. Two Operation Paperclip members are members of the International Space Hall of Fame: Wernher von Braun (1976) and Ernst Steinhoff (1979). Hubertus Strughold was inducted in 1978 but removed as a member in 2006. Other closely related members include Willy Ley (1976), a German-American science writer, and Hermann Oberth (1976), a German scientist who advised von Braun's rocket team in the U.S. from 1955 to 1958. The Debus (crater) is a lunar crater named after Kurt Debus, the first director of NASA's Kennedy Space Center. The von Braun (crater) is a lunar crater named after von Braun. Wernher von Braun was chief architect of the Saturn V launch vehicle, the key instrument in getting man to the moon. Adolf Busemann was the mind behind the swept wing, which improved aircraft performance at high speeds. Before his official approval of the program, President Truman, for sixteen months, was indecisive on the program. Years later in 1963, Truman recalled that he was not in the least reluctant to approve Paperclip; that because of relations with Russia "this had to be done and was done". Several of the Paperclip scientists were later investigated because of their links with the Nazi Party during the war. Only one Paperclip scientist, Georg Rickhey, was formally tried for any crime, and no Paperclip scientist was found guilty of any crime, in America or Germany. In 1947, Georg Rickhey, who came to the United States under Operation Paperclip in 1946, was returned to Germany to stand trial at the Dora Trial, where he was acquitted. In 1951, weeks after his U.S. arrival, Walter Schreiber was linked by the Boston Globe to human experiments conducted by Kurt Blome at Ravensbrück, and he emigrated to Argentina with the aid of the U.S. military. In 1984, Arthur Rudolph, under perceived threat of prosecution relating to his connection—as operations director for V-2 missile production—to the use of forced labor from Mittelbau-Dora at the Mittelwerk, renounced his U.S. citizenship and moved to West Germany, which granted him citizenship. For fifty years, from 1963 to 2013, the Strughold Award—named after Hubertus Strughold, The Father of Space Medicine, for his central role in developing innovations like the space suit and space life support systems—was the most prestigious award from the Space Medicine Association, a member organization of the Aerospace Medical Association. On October 1, 2013, in the aftermath of a Wall Street Journal article published on December 1, 2012, which highlighted his connection to human experiments during WW2, the Space Medicine Association's Executive Committee announced that the Space Medicine Association Strughold Award had been retired. Hans Amtmann , Herbert Axster, Anton Flettner, Erich Ball , Oscar Bauschinger , Hermann Beduerftig , Rudi Beichel , Anton Beier , Herbert Bergeler , Magnus von Braun, Wernher von Braun, Theodor Buchhold, Walter Burose , Adolf Busemann, GN Constan , Werner Dahm, Konrad Dannenberg, Kurt H. Debus, Gerd De Beek , Walter Dornberger, Gerhard Drawe , Friedrich Duerr , Ernst R. G. Eckert, Otto Eisenhardt , Krafft Arnold Ehricke, Alfred Finzel , Edward Fischel , Karl Fleischer , Anselm Franz, Herbert Fuhrmann , Ernst Geissler, Werner Gengelbach , Dieter Grau, Hans Gruene , Herbert Guendel , Fritz Haber , Heinz Haber, Karl Hager , Guenther Haukohl , Karl Heimburg , Emil Hellebrand , Gerhard Heller , Bruno Helm , Rudolf Hermann , Bruno Heusinger , Hans Heuter , Guenther Hintze , Sighard F. Hoerner, Kurt Hohenemser, Oscar Holderer, Hans Henning Hosenthien, Walter Jacobi, Erich Kaschig , Ernst Klaus , Theodore Knacke , Siegfried Knemeyer, Heinz-Hermann Koelle, Gustav Kroll , Werner Kuers , Hermann Kurzweg , Hermann Lange , Hans Lindenberg , Hans Lindenmayer , Alexander Martin Lippisch, Robert Lusser, Hans Maus , Helmut Merk , Joseph Michel , Hans Milde , Heinz Millinger , Rudolf Minning , Willi Mrazek , Hans Multhopp, Erich Neubert , Gerhard Neumann, Hans von Ohain (designer of German jet engines), Robert Paetz , Hans Palaoro , Kurt Patt , Hans Paul , Arnold Peter , Theodor Poppel , Werner Rosinski , Heinrich Rothe , Ludwig Roth, Arthur Rudolph, Friedrich von Saurma, Edgar Schaeffer, Martin Schilling , Helmut Schlitt , Albert Schuler , August Schulze , Walter Schwidetzky , Ernst Steinhoff, Wolfgang Steurer , Ernst Stuhlinger, Kurt Tank, Bernhard Tessmann, Adolf Thiel, Georg von Tiesenhausen, Werner Tiller , JG Tschinkel , Arthur Urbanski , Fritz Vandersee , Richard Vogt, Woldemar Voigt (designer of Messerschmitt P.1101), Werner Voss , Theodor Vowe , Herbert A. Wagner, Hermann Weidner , and Walter Fritz Wiesemann . (see List of German rocket scientists in the US). Heinz Hilten  and Hannes Luehrsen . Wilhelm Angele , Ernst Baars, Josef Boehm , Hans Fichtner, Hans Friedrich , Eduard Gerber , Georg Goubau, Walter Haeussermann, Otto Heinrich Hirschler , Otto Hoberg , Rudolf Hoelker , Hans Hollmann, Helmut Hölzer, Horst Kedesdy , Kurt Lehovec, Kurt Lindner , JW Muehlner , Fritz Mueller, Johannes Plendl, Fritz Karl Preikschat, Eberhard Rees, Gerhard Reisig , Harry Ruppe , Heinz Schlicke, Werner Sieber , Othmar Stuetzer , Albin Wittmann , Hugo Woerdemann , Albert Zeiler , and Hans K. Ziegler. Claus Scheufelen  and Rudolf Schlidt . Theodor Benzinger, Rudolf Brill, Konrad Johannes Karl Büttner, Richard Lindenberg, Walter Schreiber, Hubertus Strughold, Hans Georg Clamann, and Erich Traub. Gunter Guttein, Gerhard Schwesinger , Gottfried Wehner, Helmut Weickmann , and Friedwardt Winterberg. APPLEPIE: Project to capture and interrogate key Wehrmacht, RSHA AMT VI, and General Staff officers knowledgeable of the industry and economy of the USSR. Safehaven: US project within ECLIPSE meant to prevent the escape of Nazi scientists from Allied-occupied Germany. On April 26, 1946, the Joint Chiefs of Staff issued JCS Directive 1067/14 to General Eisenhower instructing that he "preserve from destruction and take under your control records, plans, books, documents, papers, files and scientific, industrial and other information and data belonging to ... German organizations engaged in military research";:185 and that, excepting war-criminals, German scientists be detained for intelligence purposes as required. National Interest/Project 63: Job placement assistance for Nazi engineers at Lockheed, Martin Marietta, North American Aviation, and other aeroplane companies, whilst American aerospace engineers were being laid off work. Operation Alsos, Operation Big, Operation Epsilon, Russian Alsos: Soviet, American and British efforts to capture German nuclear secrets, equipment, and personnel. Operation Backfire: A British effort at recovering rocket and aerospace technology, followed by assembling and testing rockets at Cuxhaven. Fedden Mission: British mission to gain technical intelligence concerning advanced German aircraft and their propulsion systems. Operation Lusty: US efforts to capture German aeronautical equipment, technology, and personnel. Operation Osoaviakhim (sometimes transliterated as "Operation Ossavakim"), a Soviet counterpart of Operation Paperclip, involving German technicians, managers, skilled workers and their respective families who were relocated to the USSR in October 1946. Operation Surgeon: British operation for denying German aeronautical expertise to the USSR, and for exploiting German scientists in furthering British research. Target Intelligence Committee: US project to exploit German cryptographers. Unit 731 — Japanese human experimenters recruited for their biological weapons technology. ^ Jacobsen, Annie (2014). Operation Paperclip: The Secret Intelligence Program to Bring Nazi Scientists to America. New York: Little, Brown and Company. p. Prologue, ix. ISBN 978-0-316-22105-4. ^ "Joint Intelligence Objectives Agency". U.S. National Archives and Records Administration. Retrieved October 9, 2008. ^ a b Lasby, pp. 177. ^ a b c Huzel, Dieter K (1960). Peenemünde to Canaveral. Englewood Cliffs NJ: Prentice Hall. pp. 27, 226. ^ Braun, Wernher von; Ordway III; Frederick I (1985) . Space Travel: A History. & David Dooling, Jr. New York: Harper & Row. p. 218. ISBN 978-0-06-181898-1. ^ Forman, Paul; Sánchez-Ron, José Manuel (1996). National Military Establishments and the Advancement of Science and Technology. Boston Studies in the Philosophy of Science. Kluwer Academic Publishers. p. 308. ISBN 9780792335412. ^ MI6: Inside the Covert World of Her Majesty's Secret Intelligence Service (2000), by Steven Dorril, p. 138. ^ a b c d e McGovern, James (1964). Crossbow and Overcast. New York: W. Morrow. pp. 100, 104, 173, 207, 210, 242. ^ a b c d Ordway, Frederick I, III; Sharpe, Mitchell R (1979). The Rocket Team. Apogee Books Space Series 36. New York: Thomas Y. Crowell. pp. 310, 313, 314, 316, 325, 330, 406. ISBN 978-1-894959-00-1. ^ a b Laney, Monique (2015). German Rocketeers in the Heart of Dixie: Making Sense of the Nazi Past During the Civil Rights Era. New Haven and London: Yale University Press. p. 26. ISBN 978-0-300-19803-4. ^ Boyne, Walter J. (June 2007). "Project Paperclip". Air Force. Air Force Association. Retrieved October 17, 2008. ^ Note: Located first in Paris and then moved to Kransberg Castle outside Frankfurt. ^ a b c d Hunt, Linda (1991). Secret Agenda: The United States Government, Nazi Scientists, and Project Paperclip, 1945 to 1990. New York: St.Martin's Press. pp. 6, 21, 31, 176, 204, 259. ISBN 978-0-312-05510-3. ^ "Fischer-Tropsch.org". Fischer-Tropsch.org. Archived from the original on September 24, 2015. Retrieved December 22, 2011. ^ "The End of World War II". (television show, Original Air Date: 2-17-05). A&E. Archived from the original on September 27, 2007. Retrieved June 4, 2007. ^ Fred Carl. "Operation Paperclip and Camp Evans". Campevans.org. Archived from the original on March 9, 2012. Retrieved December 22, 2011. ^ Naimark. 206 (Naimark cites Gimbel, John Science Technology and Reparations: Exploitation and Plunder in Postwar Germany) The $10 billion compare to the 1948 US GDP $258 billion, and to the total Marshall plan (1948–52) expenditure of $13 billion, of which Germany received $1.4 billion (partly as loans). ^ "Goddard Astronautics Award Recipients". AAIA.org. Retrieved August 22, 2017. ^ "International Space Hall of Fame – von Braun". nmspacemuseum.org. Retrieved August 22, 2017. ^ "International Space Hall of Fame – Steinhoff". nmspacemuseum.org. Retrieved August 22, 2017. ^ "International Space Hall of Fame – Ley". nmspacemuseum.org. Retrieved August 22, 2017. ^ "International Space Hall of Fame – Oberth". nmspacemuseum.org. Retrieved August 22, 2017. ^ Harbaugh, Jennifer (February 18, 2016). "Biography of Wernher Von Braun". NASA. Retrieved May 1, 2018. ^ AP. "Adolf Busemann, 85, Dead; Designer of the Swept Wing". Retrieved May 1, 2018. ^ "Operation Paperclip | Defense Media Network". Defense Media Network. Retrieved May 1, 2018. ^ Lasby, pp. 177, citing Personal Interview, President Harry S. Truman, Independence, Missouri, June 3, 1963. ^ Michael J. Neufeld (2008). Von Braun: Dreamer of Space, Engineer of War Vintage Series. Random House, Inc. p. 235. ISBN 978-0-307-38937-4. ^ Hunt, Linda (May 23, 1987). "NASA's Nazis". Literature of the Holocaust. ^ a b "Strughold Award". ^ "List Of Terms, Code Names, Operations, and Other Search Terminology To Assist Review and Identification Activities Required by the Act". U.S. National Archives and Records Administration. Retrieved December 19, 2008. ^ Buchholz, Dr. Annemarie (2003). "The New Form of Government: Bombocracy". Current Concerns. Switzerland. Archived from the original on September 28, 2007. Retrieved October 18, 2008. ^ a b c Ziemke, Earl F (1990) . "Chapter XI:Getting Ready for "The Day"". The U.S. Army in the Occupation of Germany 1944–1946. Washington DC: United States Army Center of Military History. p. 163. CMH Pub 30-6. ^ Cooksley, Peter G (1979). Flying Bomb. New York: Charles Scribner's Sons. p. 44. ^ Beyerchen, Alan (1982). "German Scientists and Research Institutions in Allied Occupation Policy". History of Education Quarterly, Vol. 22, No. 3, Special Issue: Educational Policy and Reform in Modern Germany. (Autumn, 1982), Pp. 289–299. 22 (3): 289–299. JSTOR 367770. Much of the FIAT information was adapted commercially, to the degree that the office of the Assistant Secretary of State for Occupied Areas requested that the peace treaty with Germany be redacted to protect US industry from lawsuits. ^ Pennacchio, Charles F. (Fall 1995). "The East German Communists and the Origins of the Berlin Blockade Crisis" (DOC). East European Quarterly. 29 (3). Retrieved June 29, 2010. October 21, 1946, marked the initiation of "Operation Ossavakim", which forcibly transferred to Soviet soil thousands of German technicians, managers and skilled personnel, along with their family members and the industrial tools they would operate. ^ Breuer, William B. (2000). Top Secret Tales of World War II. Wiley. pp. 220–224. ISBN 978-0-471-35382-9. Yves Beon, Planet Dora. Westview Press, 1997. ISBN 0-8133-3272-9. Linda Hunt, U.S. Coverup of Nazi Scientists The Bulletin of the Atomic Scientists. April 1985. "Objective List of German and Austrian Scientists" (Microsoft Word). Joint Intelligence Objectives Agency. Retrieved April 10, 2007. Dr. Wernher von Braun First Center Director, July 1, 1960 - Jan. 27, 1970. NASA Marshall Space Flight Center History Office. Retrieved December 31, 2017. Annie Jacobsen (2014). Operation Paperclip: The Secret Intelligence Program that Brought Nazi Scientists to America. New York: Little, Brown and Company. ISBN 978-0-316-22104-7. OCLC 827257574. Simpson, Christopher. Blowback: America’s Recruitment of Nazis and Its Effects on the Cold War New York: Weidenfeld & Nicolson, 1988. ISBN 978-1-55584-106-5. In Cold War, U.S. Spy Agencies Used 1,000 Nazis. Eric Lichtblau for The New York Times. October 26, 2014.